MINEOLA, N.Y. (AP) _ A Sikh college student from New York said Monday he is excited about a federal court decision that will permit him to enroll in the U.S. Army’s Reserve Officer Training Corps without shaving his beard, cutting his hair, or removing his turban. U.S. District Court Judge Amy Berman Jackson issued the ruling Friday in Washington, D.C., saying 20-year-old Iknoor Singh’s adherence to his religious beliefs would not diminish his ability to serve in the military. “I didn’t believe it at first when I heard about the decision,” said Singh, who lives in the New York City borough of Queens. Singh, who will be a junior next fall studying finance and business analytics at Hofstra University on Long Island, said he has had a lifelong interest in public service. He speaks four languages _ English, Punjabi, Hindi, and Urdu _ and he said he wants to work in military intelligence. Sikhism, a 500-year-old religion founded in India, requires its male followers to wear a turban and beard and keep their hair uncut. Under a policy announced last year, troops can seek waivers on a case-by-case basis to wear religious clothing, seek prayer time or engage in religious practices. Approval depends on where the service member is stationed and whether the change would affect military readiness or the mission. 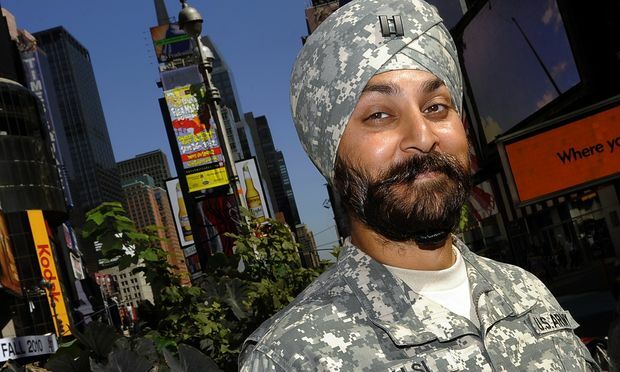 Currently, only a few Sikhs serve in the U.S. Army who have been granted religious accommodations. Army spokesman, Lt. Col. Ben Garrett, said in a statement the decision is currently being examined. “The Army takes pride in sustaining a culture where all personnel are treated with dignity and respect and not discriminated against based on race, color, religion, gender and national origin,” he said. 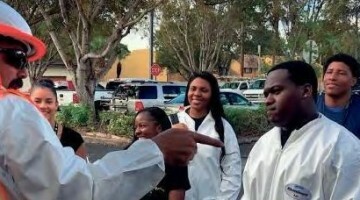 The American Civil Liberties Union and a group called United Sikhs jointly represented Singh in the case.